Dear universe, I would like the following headline appear in the Bay of Plenty Times on Fri 26 July 2013: “Tauranga University Enrolls First 99 Students, 4 Years Ahead Of Schedule”. 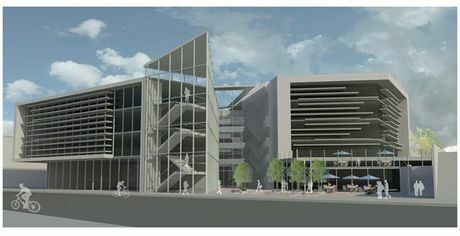 You can probably think of at least 5 reasons why a university here would be great for Tauranga? Lot’s of people and groups complain about the lack of a university in the media, and there is lots of blaming going on for who’s fault it is for not getting started already. Did you know there has been just ONE new university in New Zealand built since 1965? 5 out of 8 were built between 1869 – 1897. That’s 140 to 116 years ago. Just forget about it. Write off the idea as too hard. Quitting is a valid decision. Don’t be embarrassed. Is it true that, today, if you choose a subject to master, that within 3 months from now, you could be the most knowledgeable person in your city (or country, or in the world) on that subject, and that all you need is internet access? Have a look at Khan Academy for example. Via Khan Academy you can learn about Math, Science, Economics, Computer Science and Humanities for free via a database of over 4000 videos. In fact, there are schools without text books or teachers who just use these videos to teach children (and adults). You don’t even need a classroom actually. Just a computer in a hole in a wall will do. Watch this TED Talk by Sugata Mitra who shows how he enabled illiterate children in a remote village teach themselves Biology and English in 3 months with a single computer in a wall. So the ice has been broken. Do we really need huge buildings and desks and chairs and schedules and lecturers and tutors and fees and loans to pay for it all? Imagine if we had both! Imagine if people could choose! In fact, we don’t have to imagine, because those are our choices already. But sitting at home watching video after video is lonely. Wouldn’t it be great if all the people in your area who were about to watch that video or learn that topic could come together and watch it together, and explain it to teach each other, and argue about it together? Do you think you’d learn the content better if you could do that? All we need is a courtyard in the middle of town that can hold about 100 people. Tauranga’s got one. It’s called Red Square. (Which we could rename “TED Square” after TED.com). Turn up there at lunchtime with your lunch and with your smart phone or tablet or laptop. Choose a Khan video or TED video or any other YouTube video you want to watch and tweet your intention using the hashtag #RedSquareVideo and start a 2 minute countdown. People can subscribe to be notified when that hashtag is used and they would have 2 minutes to come and join you. They can load the video themselves (or cosy up next to you to watch it), and when it’s done you can have a chat about it so that knowledge really sinks in. Or, if they want to watch another video, that can do so and others could join them. The first day for this is 12noon Thursday 18 April 2013. Join me in Red Square (1 Spring St, Tauranga)? Imagine if 5 people turned up every day to do this. That’s the goal: For 99 people to turn up on the 99th day after the start on 18 April 2013. And this will be the headline on the Bay of Plenty Times website on Fri 26 July 2013 (99 days later): “Tauranga University Enrolls First 99 Students, 4 Years Ahead Of Schedule”. The Future of “Work”: Are You A Cog In a Machine Or A Nanobot In A Swarm? 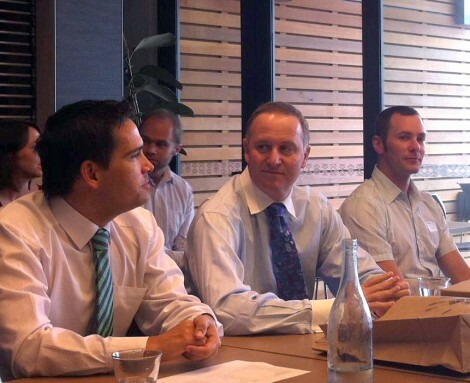 I had the honour of spending 60 seconds with John Key this morning. I was 1 of 10 young professionals invited to tell him about what we’re up to here in Tauranga, the city I love. Hi, I’m Sheldon Nesdale and I’m helping to build a eco-system of entrepreneurship and innovation here in Tauranga. 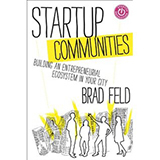 One of 6 ways I’m doing that is by organising an event that people can go to and learn about entrepreneurship and innovation in a hands on way. It’s called Tauranga StartUp Weekend and it’s happening July 5,6,7 this year. It’s like a cake. You throw in ingredients like mentors, prizes, judges, strangers, structure, and chaos, and you eat whatever you cook. This guy runs a whole country so his perspective is mostly a macro sized one. (Although he has this talent of zooming down to the individual level too). This means he sees the big picture, the big system and the big moving parts. When he was talking about Fonterra and exports, 2 pictures formed in my head that I want to tell you about. The first picture was one of a giant machine which needed cogs to work. 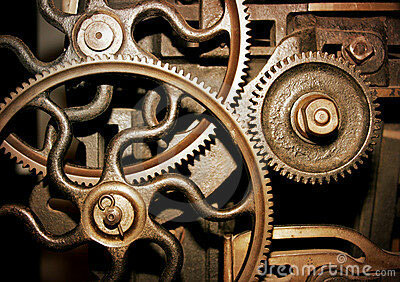 Do you feel like a cog in a machine sometimes? What are the cogs in this machine? People. You might be a big cog or you might be a small cog, but the machine wants to be able to replace you easily or work without you if it needs too. For example your job might be to sit in a cubicle and answer phones. The machine wants you to stay there. But even if you leave, it’ll very quickly fill that spot with someone else. The second picture was one of a nanobot swarm. Do you want the freedom to swarm to problems you are passionate about solving? It’s a tiny machine. So tiny a million of them can fit on the head of a pin. This time the people are individual nanobots. They are separate. They are autonomous. They make their own decisions. 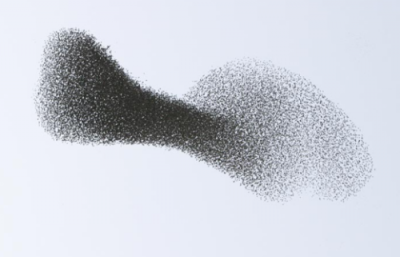 But the supercool thing is that they can swarm to problems that need solving. For example, poverty needs solving. The people/nanobots that care about poverty will swarm to that problem and solve it together. That’s the future of work I think. So, are you a cog or a nanobot? And if you want to change, when are you going to start?